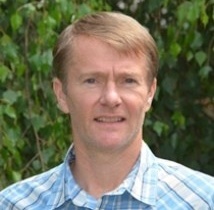 Dr. Walker currently focuses his research efforts on management and remediation of contaminated sites, ecological impacts and mitigation of industrial pollution, ecological risk assessment and environmental effects monitoring, management of aquaculture impacts, management of Arctic and Antarctic natural resources, air pollution impacts on ecosystems. Most of his recent research has been in partnership with industry related to environmental management and monitoring across Canada. Zhang, H., Walker, T.R., Davis, E., Ma, G. (2019) Spatiotemporal characterization of metals in small craft harbour sediments in Nova Scotia, Canada. Marine Pollution Bulletin. DOI: 10.1016/j.marpolbul.2019.02.004. Walker, T.R. (2018) China's ban on imported plastic waste could be a game changer (online). China’s ban could curb plastic waste (print). Nature. 553(7689): 405-405. DOI: 10.1038/d41586-018-00933-6. Karbalaei, S., Hanachi, P., Walker, T.R., Cole, M. (2018) Occurrence, sources, human health impacts and mitigation of microplastic pollution. Environmental Science and Pollution Research. 25(36): 36046–36063. Davis, E., Walker, T.R., Adams, M., Willis, R. (2018) Characterization of polycyclic aromatic hydrocarbons (PAHs) in small craft harbour (SCH) sediments in Nova Scotia, Canada. Marine Pollution Bulletin. 137: 285-294. Schnurr, R.E.J., Alboiu, V., Chaudhary, M., Corbett, R.A., Quanz, M.E., Sankar, K., Srain, H.S., Thavarajah, V., Xanthos, D., Walker, T.R. (2018) Reducing marine pollution from single-use plastics (SUPs): A review. Marine Pollution Bulletin. 137: 157-171. Liu, Z., Adams, M., Walker, T.R. (2018) Are exports of recyclables from developed to developing countries waste pollution transfer or part of the global circular economy? Resources, Conservation and Recycling. 136: 22-23. Walker, T.R., Xanthos, D. (2018) A call for Canada to move toward zero plastic waste by reducing and recycling single-use plastics. Resources, Conservation & Recycling. 133: 99-100. Del Aguila Feijoo, M., Walker, T.R. (2018) Correspondence to the Editor Re: Artisanal and small-scale gold mining impacts in Madre de Dios, Peru: Management and mitigation strategies. Environment International. 111: 133-134. Walker,rT.R. (2018) Drowning in debris: Solutions for a global pervasive marine pollution problem. Marine Pollution Bulletin. 126 (1): 338. Dorey, K., Walker, T.R. (2018) Limitations of threatened species lists in Canada: A federal and provincial perspective. Biological Conservation. 217: 259-268. Taylor, S., Walker T.R. (2017) North Atlantic right whales in danger. Science, 358 (6364): 730-731. DOI: 10.1126/science.aar2402.